Logging controversies over British Columbia old-growth clearcuts no longer appear in newspaper headlines as they did during the ‘war in the woods’ of the 1990s. National attention has since shifted east to Alberta’s Oil Sands, and there has been a similar migration of activists. As a result, former forestry consultants and executives are now employed advising the oil patch on how to deal with environmentalist accusations. But forest practices are still a concern, however, now particularly in beetle-killed timber-salvage operations in the province’s interior. One of my research projects seeks to revive this concern by looking at B.C.’s infamous clearcuts in a new way, with a view to provoking their popular re-evaluation. Rather than imagining large clearcuts as the unfortunate byproducts of an industrial landscape, I view them as imported battlefields. Literally. The language of ‘the war in the woods’ was meant as a melodramatic analogy, but those who coined the phrase had little idea how correct they were. From a silvicultural perspective, there is no difference between reforesting the annihilation of a First World War battlefield and regenerating a forest without seed trees. My research indicates that this parallel is far more than coincidence. After the First World War the British government appealed to Canada for tree seed to replant the devastated European countryside. To meet this need British Columbia established a system of Douglas fir cone harvesting, seed extraction and overseas shipment. Though this was deemed appropriate for reforesting European battlefields and timberlands harvested in haste to supply the war machine, at the time the hand planting of tree seedlings was considered neither economically feasible, nor desirable as a method of forest regeneration here at home. In a province of jaw-droppingly large trees, pre-war foresters viewed this nursery method as ‘merely gardening,’ preferring the natural reseeding of logged lands by neighbouring trees. Rather than dictating how logging would proceed, however, research uncertainties were used to avoid the imposition of meaningful cutting restrictions. As British Columbia exported thousands of pounds of tree seed overseas, local harvesting technology evolved in ways that made natural forest regeneration on the coast impossible. Formerly undesirable hand planting became an imperative in B.C., so the system meant for foreign reforestation was retooled for local use and set in action by 1940. Over twenty years in a series of imperceptible but steady shifts, provincial government policy towards forest regeneration was reversed by 180 degrees. The successful system that had reforested England and France with B.C. tree seed was implemented here at home, leading to the abandonment of the original policy of natural regeneration. British post-war reforestation investment made contemporary B.C. clearcuts an acceptable possibility. After the First World War, B.C. had exported seed and imported clearcuts. Some problems simply do not disappear, and at a time when eyes are turned to seemingly more pressing environmental concerns, my research cautions against the temptation to implement an interior business model already rejected on the coast. Indeed, as I am reminded week after week in my two upper-year sustainability seminars, history has a place in contemporary political debates. This is a province of divergent environmental visions, where people look at the same patch of land or length of coastline and imagine quite contradictory possibilities. Unresolved native land claims keep the B.C. Archives a busy place as researchers compete to write histories that define how we ought to redistribute access to resources. In this milieu, my environmental historical scholarship provides insight into where we have been and points to possible futures we ought to visit. As William Burton once quipped, “If you don’t like the past, change it.” Rather than the cynical historical revisionism to which he was referring, I aim to enlist historical knowledge to help shape the future’s past, a just, green society—happy earth day! 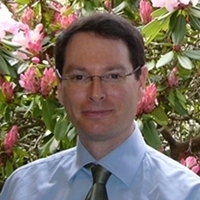 David is a Sessional Instructor in the Department of Geography at UBC and the Principal of Klahanie Research Ltd. The Lessons from Asbestos, Quebec by Jessica Van Horssen (UWO).